The Mr. Beams MB360XT LED spotlight, based off our MB360 original spotlight, provides an instant, affordable solution to home security lighting. 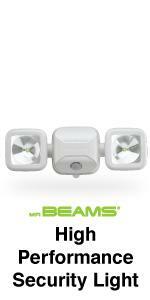 The 200-Lumen wireless spotlight installs anywhere with the included mounting hardware. 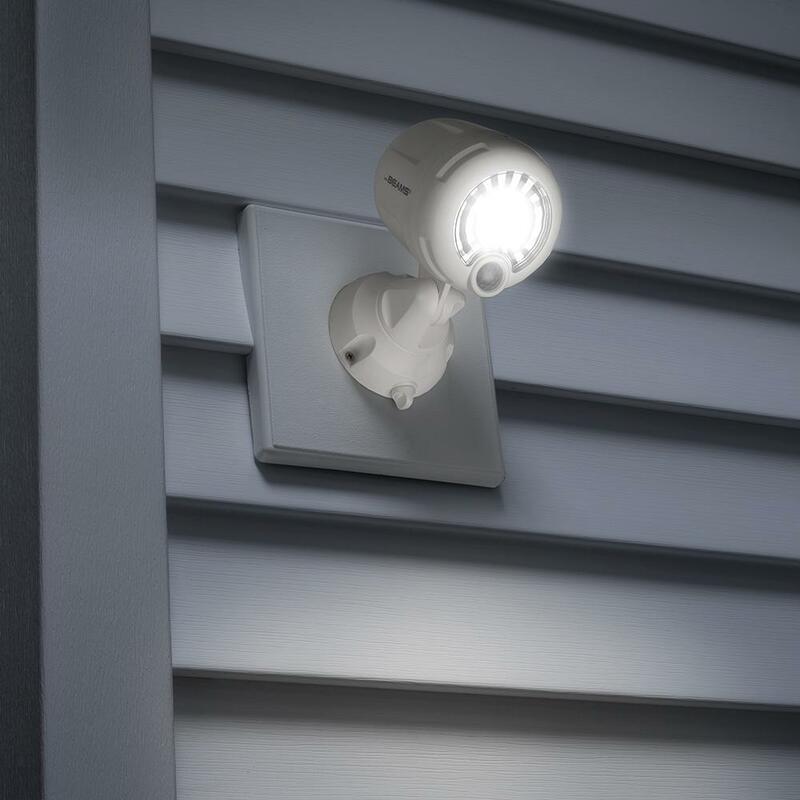 Its unique reflective face creates a wider coverage area to light larger spaces, including doorways, garages, sheds, decks, fences and trees, while its durable, weatherproof design make it an ideal outdoor light. 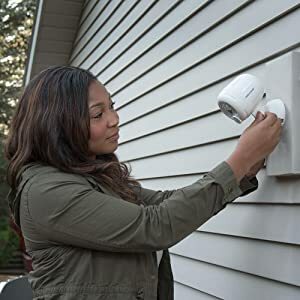 Motion activation and auto shut off ensure the security light is only on when it’s needed and help to prolong battery life. 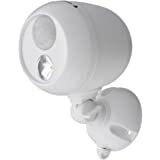 Mr Beams MB360XT LED Spotlight, based off the best-selling MB360 Original Spotlight, offers a simple, effective solution to home security lighting. 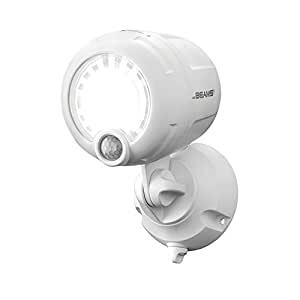 The wireless, battery-powered light provides a unique reflective face, bright light and durable, weatherproof design, along with Mr Beams standard features, including motion activation, auto shut off and long battery life. 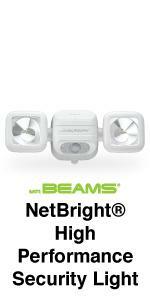 -Bright 200 lumen output provides bright security lighting. 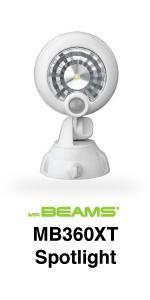 -The reflective face spreads the light for a wider coverage area. -Wireless installation for light in more places. 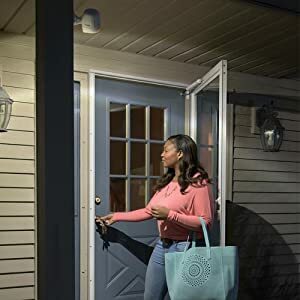 The MB360XT LED Spotlight instantly increases safety and security around the home and yard by providing 200 lumens of bright light. 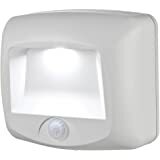 Its reflective face spreads the light to create a wider coverage area of 600 square feet, making it ideal for large outdoor areas. 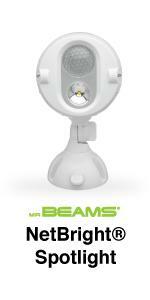 With a new patented design, the weatherproof spotlight was intentionally designed for outdoor use. Having been tested to an IPX6 rating, the light is protected from water damage and durable enough to handle outdoor elements. 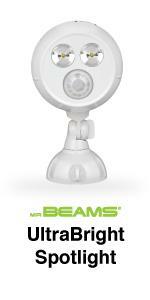 Install the MB360XT LED Spotlight anywhere light is needed regardless of electrical wiring. 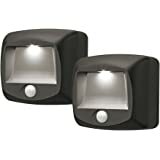 Because the wireless LED spotlight operates on 3 D-cell batteries, it can be installed almost anywhere including garages, doorways, decks, porches, sheds, fences and trees. Installation takes about 5 minutes with the included screws. We really like these battery operated lights. 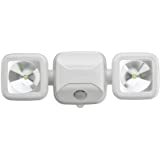 They supplement some of our solar path lights , especially in winter when sunshine can be fickle. No electrical wiring required. And easy to move if you want to change their position. Couldn't find any Australian stockists for these. So it was useful Amazon au stocked them. The light is performing better than anticipated at the bottom of a dark stairway in my home. I’ve tried several battery powered lights in this location with less than acceptable results. Most have employed AA batteries & multiple leds ending in frequent battery replacement. 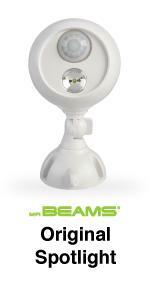 This design uses one higher output led and three D cell batteries. My dogs activate it dozens of times a day & more than a month later it’s still 100% bright . I like the design as no tools are needed to replace batteries. Simply loosen the thumbscrew on the base to remove the entire assembly for service. 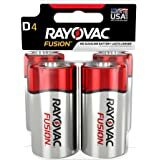 The fact it uses D batteries is a plus because they have many times the capacity of a AA or C cell battery. I’ll report on battery life in a couple months. I’m not associated with this product. 5.0 out of 5 starsWork perfect for what they're designed to be! 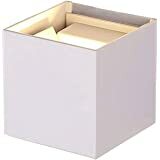 I purchased several of these to provide total coverage from various angles in my back yard. 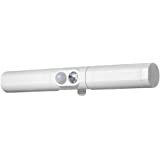 They install VERY easily and will require three D-Cell batteries which are not included. My back yard backs up to an open field, so there is NO ambient lighting at night. 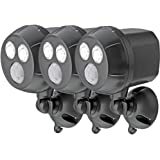 In situations like mine, these lights work wonderful because they aren't "competing" with other ambient lighting... so the 200-lumens goes a long way. If you have a good deal of ambient lighting in the area you're installing, you may find their 200-lumen brightness to be under-whelming. In situations like that, I'd look for a higher powered light... but that typically also means hard wiring. Anyway... they install easily, work as intended, and should last quite a while. Perfect for my specific needs! Thanks! We bought two of these three years ago and they are still working - so we bought two more and they delivered promptly. 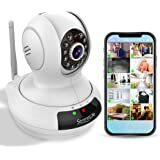 Great quality great price. 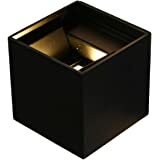 I installed 2 of these lights for someone else and liked them so much I bought one for myself. I'll be ordering a second one soon. 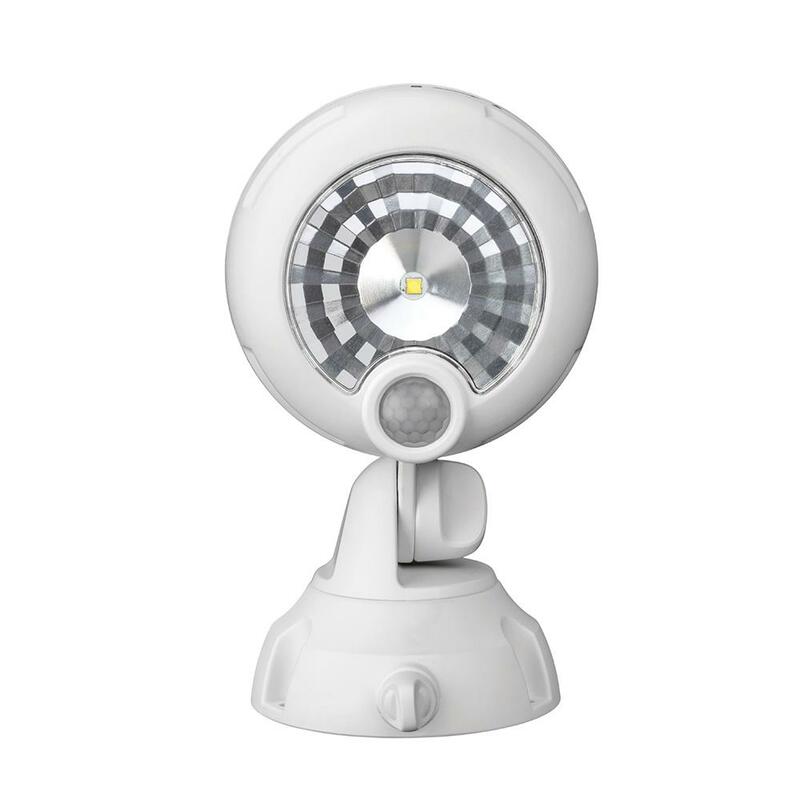 The light output is rated at 200 lumens, but it seems much brighter due to the reflector surface in the casing. 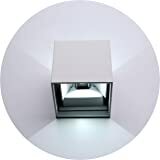 The unit is incredibly easy to install, and you can adjust the spotlight itself to a variety of configurations. I am sold on this product line. I installed these inside a garden shed so that I can still see what's on the shelves when I go inside at night. The light beam on this model is smoothed out over a larger area than the original Mr. Beams, the ring of light is at least twice as wide. I wish the LED had a warmer color temperature. 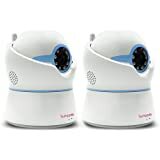 The batteries in the original Mr. Beams that I installed more than a year ago are still good (some motion sensors drain the battery even when it is not activated, but these models conserve power). The biggest improvement is the reflector to cover a wider area.